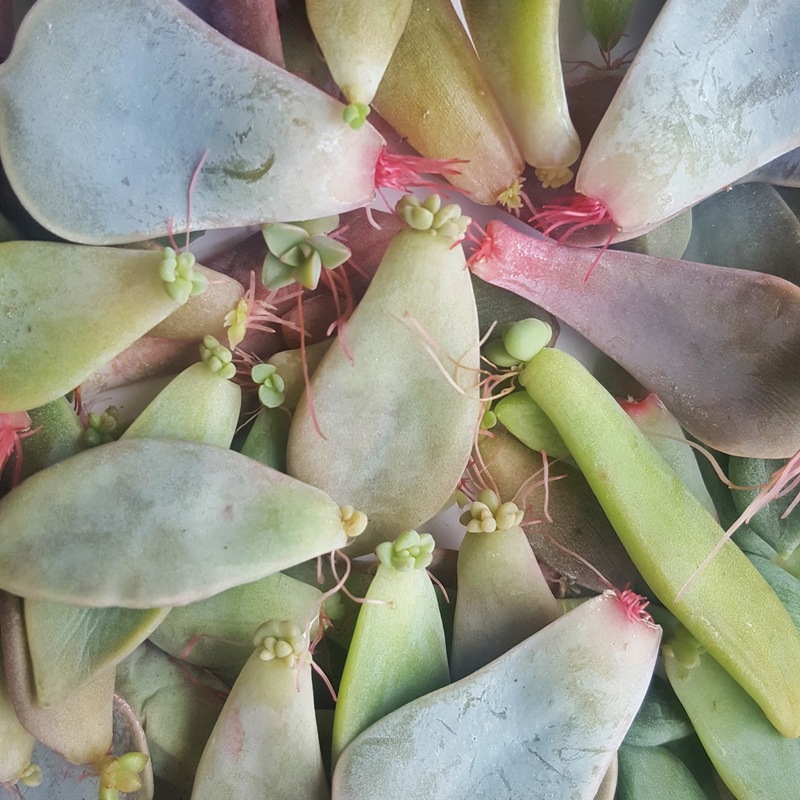 Something I have been asked a lot lately is can you propagate succulents in Winter? We all know that most plants grow best in Spring and Summer, it's warmer, there's more light and most plants are actively growing at this time. 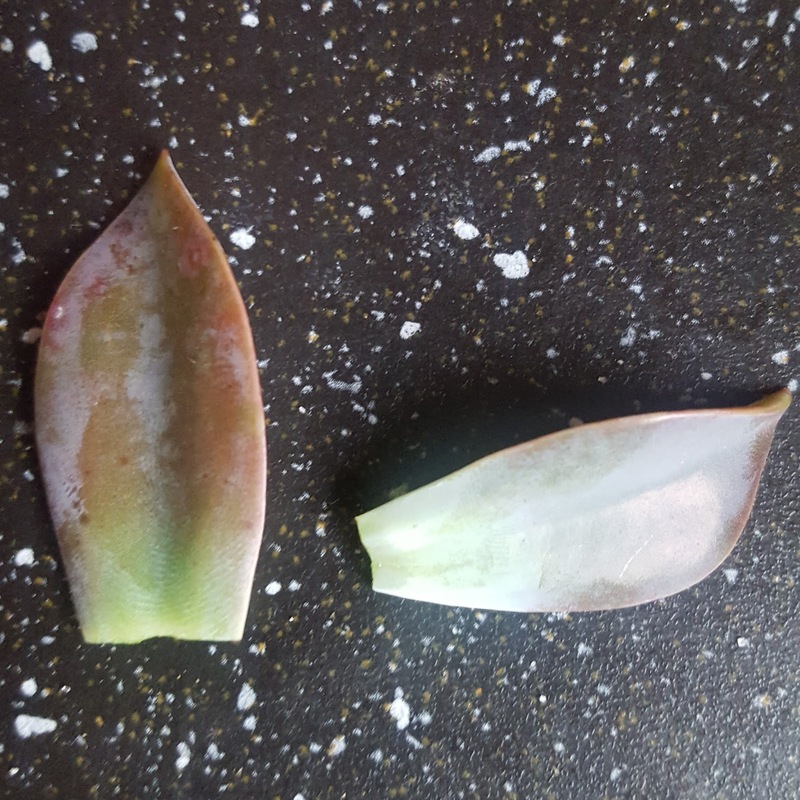 But can you do it in Winter without having to purchase expensive equipment like heat mats and grow lights? I say an emphatic yes! 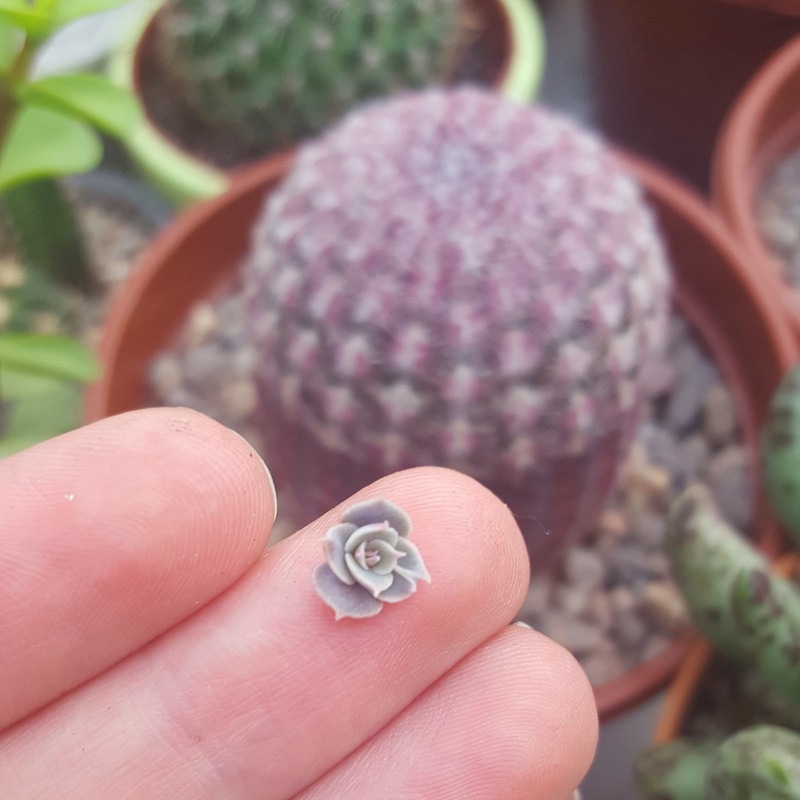 There is no reason that you can't grow new little succulents throughout the year and here's how. Once you have your leaves the next step is very easy. Find a South facing windowsill in a warm room (make sure there is no radiator or heat source beside your window) and lay your leaves out on a white piece of paper. As you can see from my photo neatness doesn't matter, you throw them on down there. Then you wait. Resist all urges to water or nurture your leaves in any way, just leave them and they will do it all by themselves. After a few weeks you should see little roots and leaf buds beginning to form. It may take a little longer than it would in Spring/Summer but have a little patience and you will be rewarded. 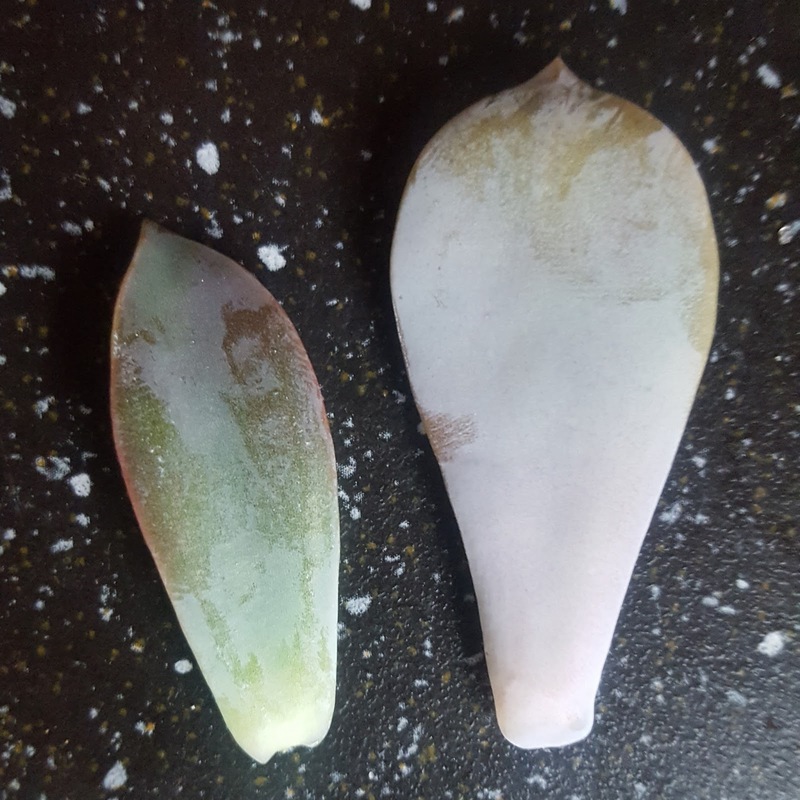 These leaves have been left, without water, soil or any care at all for about 6 weeks. As you can see they are all in various stages of growth, some will take longer than others depending on the type of succulents they are. 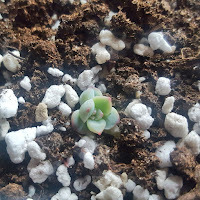 Things like sedum, sedeveria and graptopetalums tend to propagate faster than some echeveria or pacyphytums. 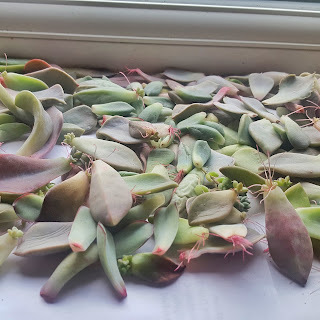 Some will grow roots first, others will grow little leaves but most of them should eventually form nice little rosettes with healthy pink roots. Once you get to this stage and you see the mother leaf beginning to wilt a little you can plant them up. I am using a mix of soil and perlite here. 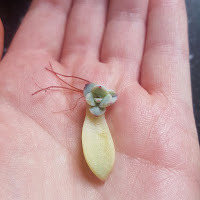 You take your baby, still with the mother leaf attached and plant it, burying the mother leaf and the roots under the soil leaving the rosette poking out above. If your leaf produces a rosette but no roots you can still try this method, sometimes planting it will help to stimulate the plants root growth. Place your newly planted baby succulents back onto the same south facing windowsill and water lightly when dry. 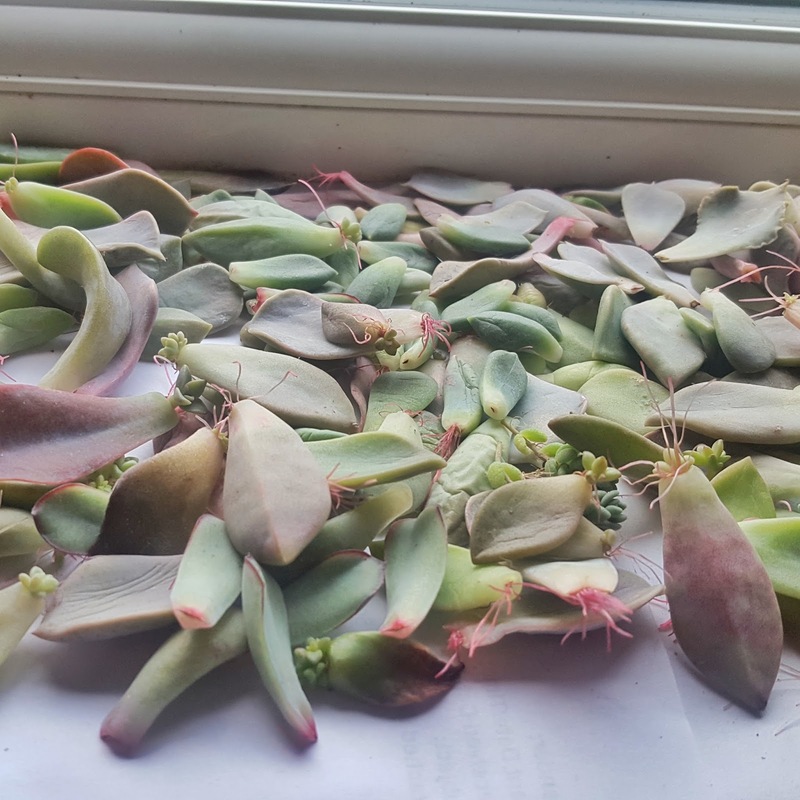 Although propagating over Winter may not be as quick as propagating in Spring, it can still be done with very little effort on your behalf. So if you are like me and just can't get enough of growing succulents, or you just want to get a head start on Spring, propagating in Winter is definitely worth giving a shot. Hi, I'm glad you found it helpful! This will also work just as well in Spring and Summer, usually at that time of the year I just toss them on soil though, simply because I am in my greenhouse a lot more. Ireland is beautiful you should definitely come for a visit sometime, just don't forget your raincoat!